Sophia Square encompasses an entire city block in downtown Carmel. 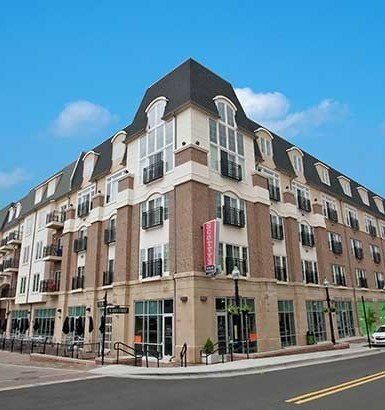 This 7-story mixed-use structure includes restaurant/retail usage on the first floor, 214 unit apartment usage on the upper four floors, and a 2-story underground parking garage, blending the historic style of downtown Carmel while utilizing modern amenities. Some of Sophia Square’s retail tenants include Main Street Poke, The Pint Room, and Vitality Bowl.